The Toyota Land Cruiser is the most popular vehicle in Lebanon so far in 2018. New car sales in Lebanon return to negative in 2018 with deliveries down a steep 18% year-on-year halfway through the year at 20.721 units, a drop that reduces slightly to -14% when taking into account the same set of manufacturers – in effect removing the VW and BMW Groups from 2017 data as these don’t report in 2018. Despite suffering the sharpest dive in the Top 25, Toyota (-41%) remains comfortably in the lead of the Lebanese brands ranking at 25.2% share vs. 33% a year ago, distancing Nissan (+32%) which finds itself at the other end of the scale, posting the largest year-on-year gain in the Top 8 and overtaking Kia (-7%) in the process. Honda (+97%) is by far the best performer in the Top 10 and gains 8 spots to #9, with Suzuki (+18%) and Hyundai (+5%) also managing an uplift while Chevrolet is stable at #7. Further down the ranking, Geely (+150%), Jaguar (+82%), Citroen (+77%), Jeep (+61%) and Land Rover (+47%) make themselves noticed whereas the success story of 2017, reborn Datsun, hits the brakes at -92% to #26. 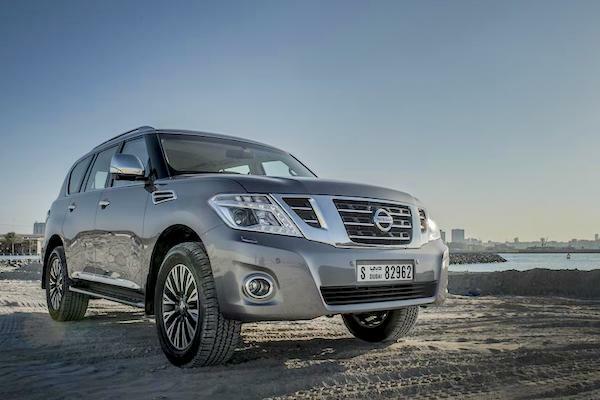 The Nissan Patrol is up two spots on last year to land in 2nd place. 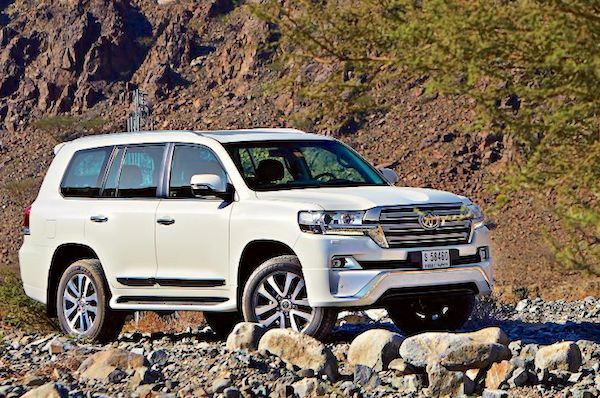 The Toyota Land Cruiser implodes 45% but paradoxically this earns the luxury SUV the Lebanese pole position as last year leader, the Toyota Prado, is in even greater difficulty at -69%. The Nissan Patrol surges 47% and two spots to land in 2nd place, giving the Lebanese ranking a distinct Persian Gulf taste and turning its back on neighbouring markets such as Israel. The Kia Rio (+15%) leads a collection of small and compact cars successful in the streets of the capital Beirut and with rental companies: the Hyundai i10 (+18%), Kia Picanto (-14%), Toyota Yaris (-14%), Corolla (+32%) and Kia Cerato (-9%). In the remainder of the Top 20, the Suzuki Jimmy (+2360%), Hyundai i20 (+1864%), Nissan X-Trail (+306%), Micra (+186%), Suzuki Swift (+105%) and Nissan Kicks (+93%) all gallop ahead, while the Mitsubishi Eclipse Cross (#37) is the only all-new nameplate to find its way inside the Top 50, distancing the Range Rover Velar (#52) and Geely X7 Sport (#73) aka Boyue.